Ranking videos within YouTube can take a bit of work, although with the proper guidance and a bit of dedication, anyone can properly influence the YouTube search engine to benefit their video rankings. Optimizing pages to rank better within search engines has grown to become synonymous with ranking websites within Google. I would like to make a distinct point that this is hardly the case. With the creation of Amazon, over twenty years ago, emerged some of the “first” practitioners of this field; influencing search engines to rank pages, or products. YouTube is a search engine, of course there has to be a way to influence the search results. This is not going to be an instructional of “how to cheat the system”, rather a gentle nudge on actions to take so where YouTube loves to suggest your content. After all, the YouTube platform is essentially Google. Well, really Alphabet, which is owned by Google. The video above is presented by Michael Kohler and has some great pointers for getting started in ranking videos in YouTube. Michael is a successful digital marketing entrepreneur which, I find, has some great tips across the digital marketing space. In the video Michael discusses how to get more followers on Instagram. Although we are not going to learn how to get Instagram followers within this article, I find that this video demonstrates great methods on ranking YouTube videos. As an SEO, I recognize that in order to push something upwards within rankings, the content must be top-notch. Whither the content is informative or stimulating, it’s important to catch your audiences eyes. Well, there’s no difference with YouTube! Although with this said, some might be surprised that ranking a YouTube video is not all about the content and quality of the video. Just like ranking a web page within Google, there are also influences on and off the single video page which are used as signals for YouTube to properly serve the most relevant content. The Most important thing when it comes to YouTube nowadays. It’s really about how you use specific keyword phrases in the description. Oh yea, Michael? What do your descriptions look like? Ooff, that’s a fairly good description! As you see in the numerical list above, Michael is highlighting the keyword phrase “How to get more followers on Instagram” in good fashion, for he is identifying within the description what the video is about in a natural manor. An unnatural manor might be copy-and-pasting “How to get more followers on Instagram” fifty times – yea, don’t do this. As I’ve mentioned, Michael’s description is fairly good. I would like to address the first two lines of the description, for this is the content which will be displayed within the search results page as the description of a video for a particular queried keyword phrase. This is the heavy-hitters’ way to start a description for a YouTube video, for it informs viewers that they’ll be receiving the information they are seeking – from a reputable influencer. Also, the description educates the viewer in that they will be provided extra resources upon such subject matter if they cared to learn more. So, even before the viewer has made the commitment to watch the video, they are being in informed that there are resources beyond a video about the topic of interest. That’s great! Below this introduction, Michael mentions all of the particular places viewers of the video can find his work. This is a good idea for publishers within the YouTube space to utilize for it will allow viewers to interact with the publisher on other networks. Why not promote yourself – this is your space to do so! Continuing, Michael goes ahead and finishes the description by writing a couple of paragraphs which accurately describes the video – using the appropriate keyword phrase throughout. YouTube will allow five-thousand characters within the description field per each video. Now keep in mind that most people go to YouTube to watch videos rather than to read a short story of a video they could easy watch instead. It’s just some food for thought. A great SEO trick for creating a description that works is to review competitor descriptions which rank very high for the same keyword. You must understand that a competitor, one for a particular keyword, may have spent a lot of time to find out which descriptions return more visitors, so why not go after what is already proven to work. Michael is familiar with this tactic and points it out in the video. Nope, it’s not all about the description. One must select the most relevant tags too. There are a handful of 3rd-party YouTube Keyword Tools available, which I’ll soon briefly discuss, although first I’ll refer upon the suggestions the particular search engine provides. I’ve pointed out this popular technique in the article about website keywords & where to put them. Simply use the search bar as a reference; for what usually will be recommended are the popular phrases which you should consider using for your video tags. Within the list above, you can identify that the items in blue might be great to accurately portray the content of the video while the items in red might not. Another way of finding the proper tags to rank your YouTube video is to review the tags which your competitors are using. Simply find the top ranking videos for the particular keyword phrase you’re targeting and identify which phrases most represent your video. There is a maximum character limit of five-hundred words when creating tags for a YouTube video – so choose wisely! Those are a couple ways to find keyword phrases to use for tagging your YouTube videos for free, although I would like to mention a paid service which must be identified in the article too. TubeBuddy is a YouTube certified provider which has a set of amazing YouTube SEO tools which integrate seamlessly into your YouTube account and browser as an extension. One of their tools I find very informative is the TubeBuddy Tag Explorer. This tool also provides advice on whither to use the unique keyword phrase determined by the amount of people querying set phrase and how much effort it might take to out-rank the competition. TubeBuddy is very affordable, starting out at $9 USD a month, and I would definitely recommend this tool to anyone serious about optimizing videos on YouTube and getting a substantial amount of traction within their video rankings. Although the amount of views a particular video has received does play in the ranking factor for YouTube to determine whither a specific video qualifies to hold the top position within the results page, one might be surprised that it’s not really the end-all-be-all ranking factor, as well as it shouldn’t. As you can see in the image below, the video which currently holds the 3rd position for the keyword phrase “YouTube SEO” has the most amount of views within the top three results. The first two recommended videos were made within the past year, while the video with the most views was created at least a year ago. This is something to think about, especially in maintaining a YouTube Channel which seeks to rank videos over a long period of time. I’m sure the video which ranks #3, at one point, held the #1 position; although YouTube’s algorithm could easily be interpreting the more fresh content to be superior. Another reason, one which is more probable, is that YouTube finds recommending a video around 10 minutes might be more beneficial than encouraging their users to watch something 40 minutes long to find out an answer to their question. This goes back to the idea that in order to rank within a search engine one must serve the most relevant content. With this said, one could easily put together an hour-long video regarding YouTube SEO and have it rank #1. The best length for a YouTube video all depends on your audience and how well you can keep them engaged! Although rare, a channel might have an audience which prefers in-dept discussions which last 20+ minutes, while other channels might shoot for the 5-12 minute range. It’s important to identify these statistics within your audience and adjust accordingly. So, what’s the best way to find these statistics? Well – I’m glad you asked! The best way to identify these type of YouTube metrics is to use YouTube Analytics, a great tool provided by YouTube for free. I’m not going to cover how to use YouTube Analytics within this article, although I would like to mention that this tool offers a robust amount of features which provides insight down to each second for all of your videos. The YouTube Creator Academys’ short points out that creating a video which holds the attention of each viewer throughout the duration of the video will have a better chance of being viewed within the search results. This is because it’s found to be enjoyed by other viewers seeking similar content. Third time is the charm: serve the most relevant content. Lets discuss how to keep your audience excited! It’s been said that humans have a shorter attention span than goldfish. Goldfish have about a nine second attention span; while us humans average around eight seconds. This attention-span-statistic among humans has been recorded to actually have diminished to the average of eight seconds over the past decade and can be accredited to the smartphone boom. In 2000, the average human attention span was estimated at twelve seconds! So I’m entertaining goldfish over here – huh? Well, I wouldn’t refer to viewers of your channel as goldfish. Less than that, for they should be human. At least in regard to attention spans. I would like to discuss several ways in which to keep your audience engaged within a YouTube video. Similar to the description, the beginning of your video is crucial in capturing and retaining eyes on your distribution. 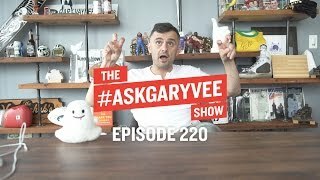 A YouTuber whom I would like to highlight which is great at creating the video introduction would be marketing entrepreneur Gary Vaynerchuk, also known as Gary Vee. He should be great at it, he has been on YouTube for over a decade! Here we have Gary Vee introducing his vlog: The #AskGaryVee Show. This clip is only 38 seconds – it’s just the intro into a particular episode. Within the first five seconds of the video, Gary throws out his hook and informs his subscribers he has a new office. At the time this video was published Gary had a bit more than three-hundred thousand subscribers – so certainly there would be an audience who would want to hear about the new business location. And we’re at thirty seconds, the time it takes in where YouTube will identify an individual view for a particular video. 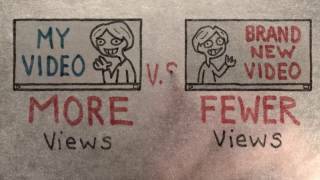 Yes, we’ve discussed that the number of views for a unique video doesn’t necessary help rank videos in YouTube, for the retention of viewers throughout the duration of the video is a much more valuable signal. Although with this said, just Gary’s introductions into his episodes will usually surpass this mark. This is an ideal format to follow when creating an introduction for your videos for it increases the number of views for each video. What’s next is to retain engagement. OK, let’s do that! As previously stated, it’s important for a video to retain the attention of viewers throughout its duration in order to rank well within YouTube. Also, losing the attention of your viewers is something in which is going to happen. The best way to identify if these issues above are occurring is to review the statistics of the video within YouTube Analytics. Another, more simplistic way, is actually watching the video. The ratio of likes a video receives compared to the the number of dislikes can also hold barring on whither a video will rank well in YouTube. Go ahead in encourage your viewers & subscribers to like your videos. There’s nothing wrong with a little self promotion – go for it! Also, suggest viewers to comment on the video and engage in conversations. This is a great way to show that you are a great steward of your channel who is informed about the subject at hand. This will also steer more people to subscribe to your channel, for you are seen as a “real person” engaging in peoples interests. Having a lot of influence within any network is something to truly cherish. YouTube is no different. Successful YouTubers which have a very large subscription base rarely need to market their videos for more views; some often reaching over one million views within twenty-four hours. This is because each time they publish a video, each subscriber will be notified, in one way or another, of the newly published content. Go ahead and recommend to your viewers to subscribe to your channel in order to keep informed on all of the videos you publish; for the more subscribers you have the more influence you’ve gained. If you don’t have a ton of subscribers to you channel, don’t worry! There are a handful of ways to promote your YouTube video! If you would like to know more about ranking videos within YouTube, I would definitely recommend checking out Michael Kohlers YouTube channel, as well, check out his website which talkes in depth on monetizing videos on YouTube at https://tubemillionaire.co/. In conclusion of this article I am going to state that I hope you learned a thing or two on how to rank YouTube videos and I hope you enjoyed the material! If you like the content, please go ahead and sign-up for our newsletter to keep informed of the most recent articles!